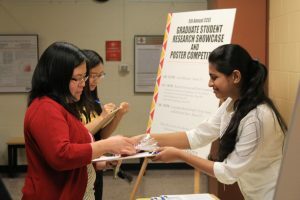 The Department of Civil, Construction and Environmental Engineering’s (CCEE) Graduate Student Council hosts its Sixth Annual CCEE Graduate Student Research Showcase and Poster Competition on Nov. 30. The event takes place in Howe Hall Atrium on Iowa State University’s (ISU) campus from 5:30 p.m. until 7:30 p.m. This year, CCEE’s Graduate Student Council accepted nearly 70 abstracts from students for the showcase. Georges Bou-Saab is the president of the council. With experts ranging from faculty judges to industry engineers and government agency representatives, Bou-Saab says participants will gain excellent feedback on their research. Submissions are divided into five different categories: construction engineering, environmental engineering, geotechnical and geotechnical materials engineering, structural engineering, and transportation engineering. The council has also added a new category of Exhibition Showcase. The new category is aimed at undergraduate students who are involved in research and will provide undergraduates with the opportunity to experience a professional conference environment. For more information, check out this CCEE event on-line. Please contact Georges Bou-Saab at gbousaab@iastate.edu with questions. And stay up-to-date on departmental news by following us on our website (ccee.iastate.edu) and on Facebook, Twitter and LinkedIn (Iowa State University Civil, Construction and Environmental Engineering and ISUConE).